Robson Square, Vancouver, Canada. November 21 – 23. WJSA: "Coming Together" from andrew matheson on Vimeo. There are so many reasons to come participate at the 2014WJS Jade Art Competition and Exhibition. Come witness the unveiling of unique artworks from over 60 international artists who are competing for your “Audience choice” award! Many of these jade art works will be for sale if you are interested in an investment (BC Showcase gallery, Robson Square). The Symposium portion begins in the Robson Square UBC Theatre Friday evening with the opening ceremonies and unveiling of artworks at 5 pm, Nov 21. Educational presentations will take place. International jade enthusiasts, archaeologists, master carvers, aficionados, miners, collectors, and experts alike, tell their compelling stories. Saturday and Sunday presentations will be in UBC room C180. See the schedule of speakers here. This conference promises to deepen knowledge about jade's traditions and potential! For thousands of years jade has been one of the most mystical and historically significant stones on this planet. Today in the west, it is one of the most unknown and undervalued gemstones. In recent years, however, jade has been making a quiet surge, both in value and prestige. 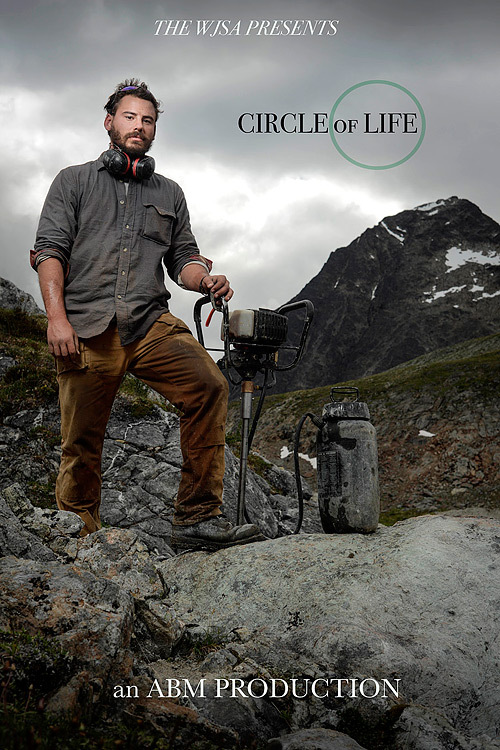 CIRCLE of LIFE travels the world in search of the artists and miners who live and breath jade and those visionaries most influential in bringing new life to the original Stone of Heaven. Master artist Tom Duquette will be creating a Cedar sculpture in the plaza using nothing but tools he made of jade! “The bit lady” will present a selection of bits and burrs for sale in the BC hosting gallery. Find out where the nearest workshop or community is and what resources are available. * If you are interested in presenting a study or discussion, representing your organization, or sharing a special display at this conference, please let us know asap.